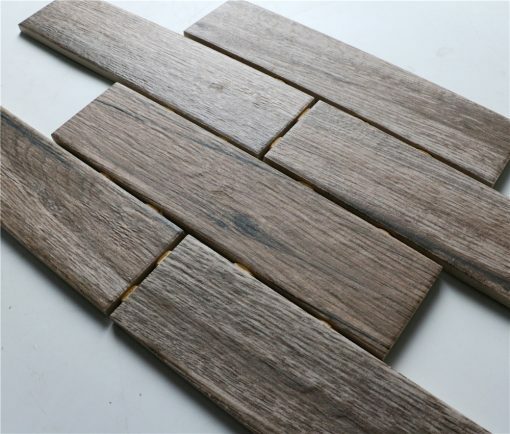 Wood look tile is a popular item in residential and commercial use, our wood tile made of high quality porcelain is perfectly to make a real wood effect to your wall and floors. Brick bond and herringbone design is available for you. Dot joint on back is easy to install and make your installation strong. Now you can enjoy a good price during our clearance period.